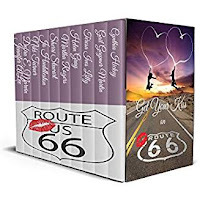 For years Route 66 was the main thoroughfare across the United States. Now, in one convenient volume, experience romances from Missouri to Santa Monica as ten women experience a journey they'll never forget. Come take a romantic ride on the Mother Road! Rita Fisk runs the Durlin Hotel in Oatman, Arizona. Her predictable existence is interrupted one night when Clark Gable and Carole Lombard, newly married in Kingman, drop into the hotel to spend their honeymoon. Edgar Smith, Mr. Gable’s driver and right-hand man, insists their stay be kept hush-hush. A reporter shows up, determined to find the famous couple. As Edgar and Rita fight their way through a comedy of errors - including an appearance from the resident ghost and having to pretend to be a honeymooning couple to throw off the reporter - they grow closer. By the time the night’s over, secrets care shared and promises are made. But is Rita the kind of woman to believe in promises, and is Edgar the kind of man to keep them? 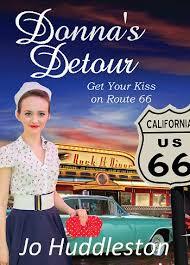 Lincoln Stover follows Route 66 to Shamrock, Texas, in pursuit of his no good cousins. But what he finds is Ruby Clover, a lovely waitress at the U-Drop Inn who sends his heart and emotions spiraling in unexpected directions. It’s 1937, and Ruby has her hands full working at the restaurant and taking care of her parentless nephew. 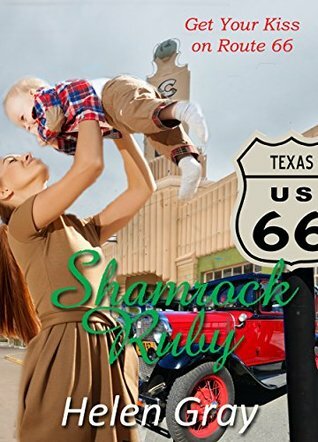 When handsome Linc Stover comes to Shamrock looking for his cousin, the baby’s deceased father, she finds herself attracted to him. But can she trust the man whose family might try to claim the child left to her when her newly widowed sister died in childbirth? 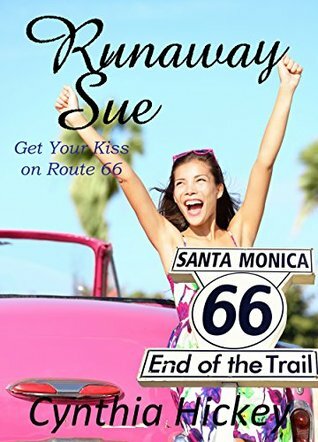 Sue has always wanted to travel the Mother Road in her pink Mustang. She ditches the man she didn't love at the altar, tosses her veil out the car and takes off on her first real adventure. Along the way, she picks up a hitchhiker named James Deacon. A leather jacket wearing man with secrets and dreams of his own. 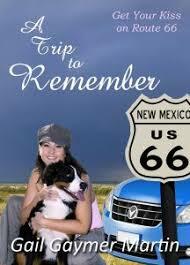 As wealthy, debutante Violet Beauchamp travels across country on route 66, she finds a small dog hurt on the road. Unwilling to leave the dog, she stops at a small Hopi Indian souvenir stand, where she is advised to go to the Holbrook Wigwam Motel. She is also given an enchanted rock, and told that the next man she sees will be the man she marries. 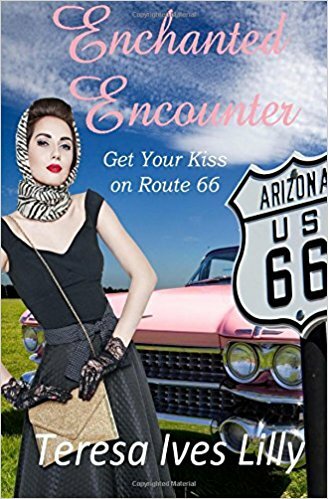 When she meets motel clerk, Lee,although handsome and kind, she still believe she is destined to marry a wealthy man in California whom she has never met. 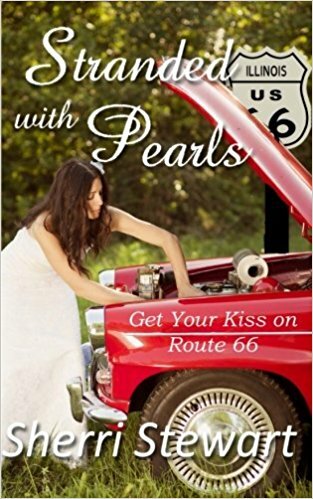 Once Lee teaches her a lesson in humility and shares the love of Jesus Christ with her, Violet is no longer sure about marrying anyone but Lee. Will the enchanted rock give her the man of her dreams, or will God lead her into His plan for her life? 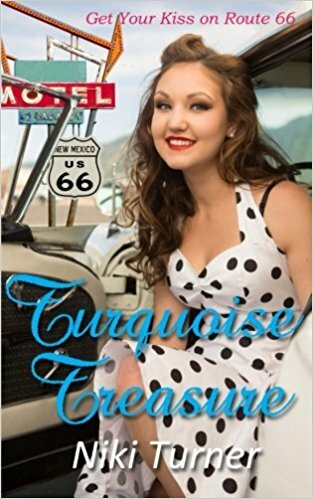 When Skylar Littleton stopped for the night in Tucumcari on her way to visit her estranged sister in California, her trip became literal when she tripped over a dog's leash and broke her right ankle. Her life becomes even more tangled with the dog's owner, Doug Elliot, a doctor and his pearl earring-wearing grandmother, who changed her plans and her life. June 16, 1962 should have been the best day of Gracie MacGyver's life. After all, it was her wedding day. But the closer she got to the altar to marry Mr. Perfect, the more she realized she was making a colossal mistake.So she bolted, leaving friends and family stunned. Taking her dad's precious car Betsy, she headed south or west--she didn't really care--wherever Route 66 took her. But the day went from bad to worse.Instead of a honeymoon in Bermuda, she spent the night in a jail cell in Pontiac, Illinois. Instead of basking on the beach with Douglas, she picked up trash alongside Route 66 to fulfill her community service hours. To make matters worse, that poor excuse of a small-town sheriff seemed to derive great pleasure from tormenting her. 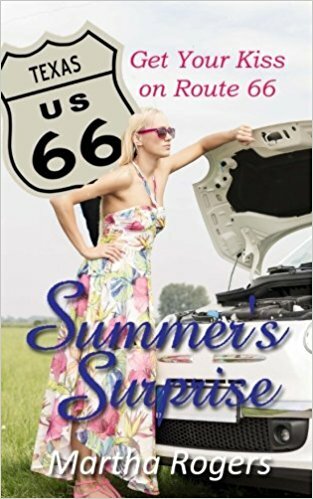 She couldn't help it if she was a big-city girl.Thrust into a world where everyone knew her business, she wasn't sure she'd be able to adjust to a slow-paced country life while working off her punishment. Certainly, her sojourn in Pontiac was just desserts for abandoning Douglas at the altar, or was it a gateway of opportunity for deeper relationships and a new love? This collection continues to be popular--great subject, great writing and a great price!